Dalton 2 bedroom condominium with great views of Weston Pond. This 2nd floor unit offers a bright living room, 2 bedrooms full bath,large eat in kitchen with a full view glass door leading out to a private sun filled porch with all newer windows and blinds adding an additional 200+ square feet of living space. Beautifully manicured lawn abutting Weston Pond where you can kayak and fish. Included is a 1 car garage with auto opener . 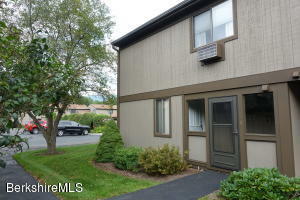 This condo is close to all Berkshire attractions and is a non smoking complex. Newly renovated unit featuring updated Kitchen and Baths. Best location in the complex. Building F offers privacy, quiet, ample parking, easy stroll to pool , tennis.Monthly condo fee includes your heat! 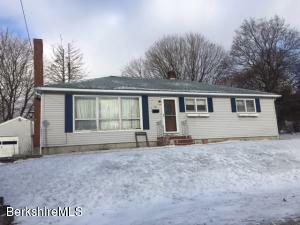 Well maintained, updated 3 Bedroom Ranch on close to an acre of flat land. Kitchen / Dining area new in 2018. Carpets new in 2018. Vinyl windows and siding Artesion well has indoor pump City sewer betterment is $192.84 a qtr. Move in ready...just pack your bags! Requires Flood Insurance. Bsmt is exterior access only. 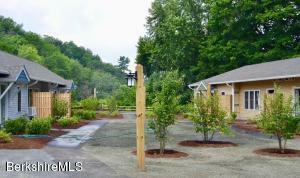 Privacy and quiet setting sets the furnished two bedroom two bath unit in Country Village. Some updates and in excellent condition with leather furniture and flat screen TV's. Syndicated web sites may direct you to an agent other than the listing agent. Serene setting, this cape home was recently renovated and offers open concept, vaulted ceilings, wood floors, exposed beams, Goshen stone patio, landscaping and character. First floor full bath and first floor bedroom 2nd floor 1/2 bath with laundry! 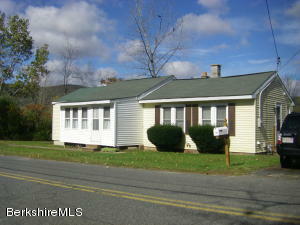 Nearby brook, nice area for hiking, biking, and close to Pittsfield or Northampton.Metal Shed excluded. 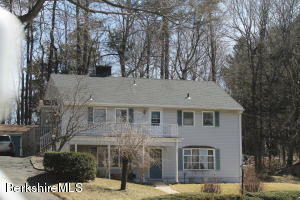 Move right in to this charming four bedroom South East Centerhall Colonial. Beautiful wood floors, Fireplace room, open dining & living room. Partially finished basement & detached garage. 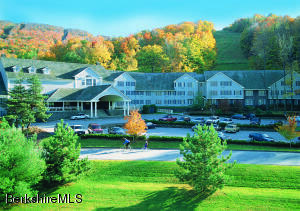 Located in the heart of the Berkshires- nestled on Main Street! 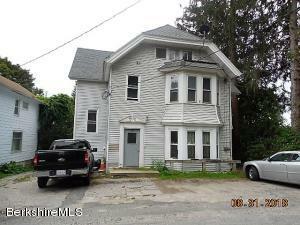 Great opportunity as the zoning is Downtown Commercial Business Corridor. 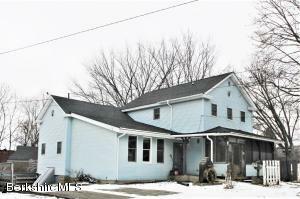 Possibility for in-town family home,great rental potential or business! A must see, as you will be pleasantly surprised by the oversized rooms! 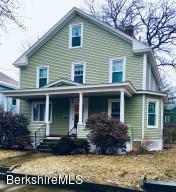 Large open kitchen/dining,large living room w/ hardwood floors & charming wooden beams, formal den (either room could be a possible 1st floor bdm)large 1st floor bath. 2nd floor has 3 bdms! Recent updates. Lovely, 2 family flat on corner lot in sought out area. Great investment property or owner-occupy. 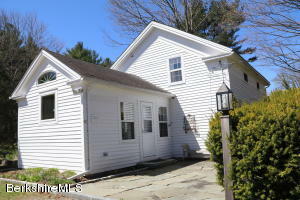 Adorable 2 bedroom, 1 bath cape-bungelow. Nice yard, rebuilt front porch with trex decking. Wood floors, new bath with tile floors,, new refrigerator, new kitchen granite counter tops and flooring, mixing the old with the new. Vibrant wall colors, eat in kitchen. Basement has the potential to be finished adding more square footage. Lots of maintenance done on this 1950's cape. Vinyl siding, newer roof. Downtown Williamstown a short distance away. 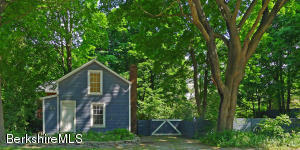 Close to all the amenities of Williams College and the Clark Art Museum. Priced to sell. Turn key option add additional $6,500 for contents, soup to nuts. 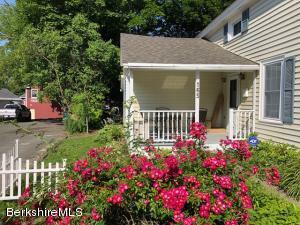 Spacious 3/4 bedroom 2 bath Dalton Colonial. 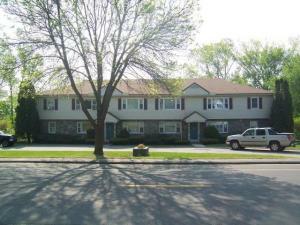 Conveniently located on a quiet side street near local eateries, shopping and parks. Gracious entertaining space inside and out with its large out building and deck great for picnics or just hanging out in the back yard..Open dining room to living room and kitchen. First floor bedroom, laundry and full bath. 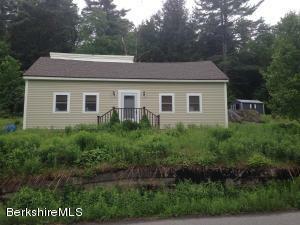 Second floor includes 2 bedrooms and full bath with Sauna. 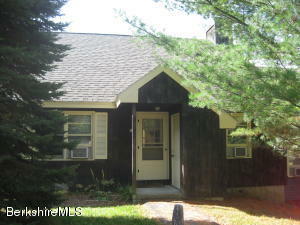 This home features Cedar Lined Closets, Wood fireplace , Newer Heating/Central AC System and Roof. 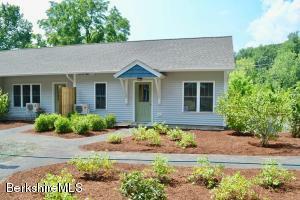 A BEAUTIFULLY RENOVATED SANDISFIELD GEM AT A REDUCED PRICE! This late Greek Revival New England Farmhouse has been recently renovated and is ready to move into. A 4-season home with a roomy country kitchen that opens into a large combination dining/living room. Step out of the kitchen onto a stone patio and relax to the sounds of the Clam River across the street, or enjoy an open-spaced backyard with plenty of room for gardening and other activities. 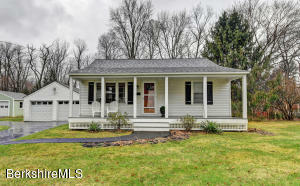 Partake of the many year-round venues of the Berkshires from this move-in ready, tranquil home.